Dual Language Immersion (DLI) Public Mtg. The Accountability Division welcomes its newest member to the Standards Team, Barb Marquer. Barb has relocated from the Wyoming State Military Department where she served as a teacher and director of the Wyoming STARBASE program for nine years. She will be working as the Science, STEM, & C/VE Consultant. Throughout her career, Barb has worked as a Registered Nurse, teacher, STEM educator, and volunteer with youth programs. In addition, she served on the 2015-2016 Science Standards Review Committee. “I am excited to take on this new role. Wyoming has a strong focus on educating and supporting our youth. Being a part of the process is an amazing opportunity for me." Barb looks forward to working with science and STEM educators across Wyoming. The Wyoming State Board of Education has requested public input on the proposed 2016 Wyoming Science Content and Performance Standards. The input will be collected through online surveys and regional meetings for the State Board to review before making any decisions on whether or not to adopt the standards. You may review the proposed science standards document here. Input on the proposed science standards may be given through online surveys now through May 10, 2016. Click here to give your input. The Wyoming State Board of Education has requested public input on the recommended changes to the K-1 ELA Extended Standards. The input will be collected through online surveys and regional meetings for the State Board to review before making any decisions on whether or not to adopt the recommended changes to the standards. You may review the recommended changes to the K-1 ELA Extended Standards document here. Input on these recommended changes may be given through an online survey now through May 10, 2016. Click here to give your input. Wyoming educators are invited to apply for consideration to participate in PAWS reviews for the Wyoming Department of Education (WDE). Educators from around the state will review test questions, field-test data, and make suggestions that will guide the development of the state assessments. Educational Testing Service (ETS) will provide pre-paid hotel accommodations for those who need them. In addition, participants will be reimbursed for mileage and meals outside those provided during the meetings and receive a stipend. The Collaboration Workshop will provide an overview of collaborative methods and models for planning, instruction, and assessment of English Learners. It is designed for teams, teacher pairs, and instructional coaches. The Lesson Planning Workshop teaches participants to enhance their lesson planning processes. It will focus on creating contexts for meaningful language use to integrate content and academic language learning. For more information about the conference visit the Conference Website. The University of Wyoming’s College of Education and the Partnership are proud to present the first state-level English as a second language (ESL) conference in Wyoming. Registration is free but required. Offered by Harvard Kennedy School’s Ash Center for Democratic Governance and Innovation, the Innovations Award is the nation’s premier award for the public sector. It recognizes programs that demonstrate creative and effective government at its best. All units of government — federal, state, local, tribal, and territorial — from all policy areas are eligible to apply for recognition. 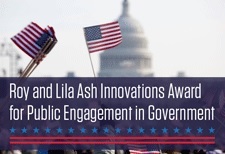 This year, the Ash Center is also once again offering the Roy and Lila Ash Innovations Award for Public Engagement in Government, a special Innovations Award that will recognize government-led programs that demonstrate novel and effective approaches to increasing public engagement and participation in the governance of towns, cities, states, and the nation. 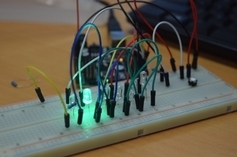 The initial application is quite simple, consisting of only three short questions, and they shouldn’t take more than an hour or two to compose. The Wyoming Agriculture & Natural Resource Science Institute provides educators with hands-on experience and project-based lessons to implement in the classroom. 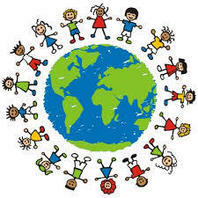 DUAL LANGUAGE IMMERSION: WHAT IS IT AND HOW DOES IT WORK? This panel discussion will explore the questions, opportunities, and challenges surrounding Dual Language Immersion (DLI) programs. Panelists include Brian Deurloo - Vice-Chairman of the Wyoming DLI Parent Steering Committee, Peter Heinz - UW Department of Modern and Classical languages, and Amanda Bremner - Albany County DLI Steering Committee Member. 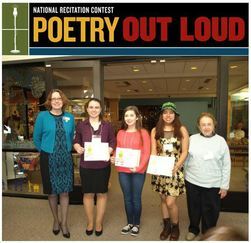 The Wyoming Arts Council is pleased to announce the 2016 winners of the state Poetry Out Loud (POL) competition. State Auditor Cynthia Cloud announced the winners and presented certificates at a ceremony on Tuesday, March 8. The 2016 winner is Lucy Martinez from Summit High School in Jackson. The runner-up is Taelor Nielsen from Worland High School. Third place was awarded to Lauren Haiar of Sundance Secondary School. Congratulations to this year’s winners! As state champion, Martinez will receive $200 and an all-expenses-paid trip to Washington, D.C. to compete at the National Finals on May 2-4. Summit High School will receive a $500 stipend for the purchase of poetry books. Nielsen will receive $100, and Worland High School will receive $200 for the purchase of poetry books. To learn more and become involved in next year’s POL competition, please contact Rachel Clifton at rachel.clifton@wyo.gov, 307-777-5305. The 5th Annual STEM Forum & Expo is a unique, focused event designed for ways to immediately and effectively apply STEM education in a Pre-K–12 setting or to implement STEM as a best practice. Strands include middle school, high school, partnerships, and administrators. ART21 Educators is a year-long professional learning community that brings together teachers from all subject areas interested in using contemporary art and ART21 films as resources for innovative teaching and learning across subject areas. The 2016-2017 program combines a six-day summer institute in New York City (July 6-11, 2016) with participation in a virtual community and distance learning sessions (July 2016-May 2017). Visit the ART21 website for additional information about the program, including FAQs, and a link to the online application. To learn more and apply visit the ART21 website. Click here. This program has been designed with the intention to support teachers in implementing engineering into their curriculum. There will be two follow-up workshops on October 16th in Casper (UW/CC) and February 25th in Laramie (UW). Lodging and meals will be provided, as well as materials for classroom implementation. This is a once-a-year opportunity for your team to take advantage of high-quality professional development in an unparalleled forum for mathematics education.